Ahh, skincare I love you so! Over the past few years skin care has played a big part in my whole beauty routine and feeling confident in wearing less makeup. I have a lot to thank it for really! And with the skin care industry ever improving there are some pretty damn amazing products out there. I've recently discovered a few of those amazing products that take pride of place at the front of the bathroom cabinet so I thought I'd share them with you! Hope you find something here that you want to try - I pretty sure you will be impressed by it! For me wipes are used at a minimum but they definitely come in handy when you want to quickly get off your makeup before properly cleansing or you are being ultra lazy! For me this happens 1-2 times a week and for that I want good quality wipes that aren't going to be over fragranced or too dry - hate hate a dry wipe! The new (ish) Micellar Wipes from Superdrug fit the bill perfecty and are actually quite impressive at removing makeup. These are the best sensitive, scent-free and moist (sorry!) wipes I've come across and they re a bargain! Did you know Mary Kay is the eightieth bestselling cosmetics range in the world? No, neither did I, until I was told MK are now in the UK and have their own website! Which is worth checking out if you are after trying something from a new brand, well new to the UK brand I should say. Anyway, onto the oil-free makeup remover, which is actually just for eyes. What I love about this makeup remover is 1. How well it removes makeup, even waterproof mascara is removed with ease 2. It's contact wearer suitable! 3. It doesn't sting my eyes at all. This really is better than any cleansing water or even oil cleanser I've used before. Thoroughly impressed! This is a Caroline Hiron's approved product and one she was certainly right about! Of course I'm already a fan of Balance Me with their 100% natural products but this is possibly my favourite product from them! Why? Well this is simply the most beautiful cleanser I'm used. Not only does this smooth away makeup a dream but ahh, the heavenly mango/citrus scent you get with it! Plus it also contains oatmeal powder which is so light and gentle but just enough to buff the skin and is even fine to use to remove eye makeup without any stinging. This also isn't heavy or too oily for my combination skin but I could see it working well for drier or more mature skin with it's wonderful oil-based texture. I've always been tempted to try the Emma Hardie Moringa Balm Cleanser but now I don't feel the need as this is just perfection! Okay, I'm a woman obsessed with this stuff! Seriously I can't get enough of it now that I've finally tried it. I'm currently using this multiple times a day - twice a day after cleansing to mattify and generally just help my skin and also when I just want to pep up my skin a bit as it's like any other thermal water... just better! This also can be used on breakouts and after squeezing a spot as zinc sulphate is a natural anti-bacterial I'm sure, please correct me on that if I'm wrong, so it will just help that area. It can also be used on sun burn or any type of itchy skin to calm it down. This is for oily, blemish-prone skin so I would avoid this if you have dry skin but other than that I know most people will love it! A true must-buy! Lastly my current day/night moisturiser that I switch up with Korres Rose Brightening Cream at times. I was on the fence whether on not to feature this due to the price point - £18.50 for 50ml is high end for me. But I decided I needed to mention it as offers something different and what every oily girls need! And that's a light moisturiser that does combat oil production but without all them harsh chemicals. I literally have so many creams that are not only quite waxy feeling but also smell so chemical laden just to combat my oily skin. Yes, they all work but this Ultra-Light Oil Control Lotion is two steps better - it's beyond light and leaves the skin feeling fresh and lovely and smells only of essential oils... because they are the main ingredients! That also means it's suitable for sensitive skin and there's no stinging involved. Since using this I feel my skin feels and looks less oily and my makeup is definitely lasting longer. Yes, it's pricey but if you don't want to go down the astringent cream route then it's worth buying. 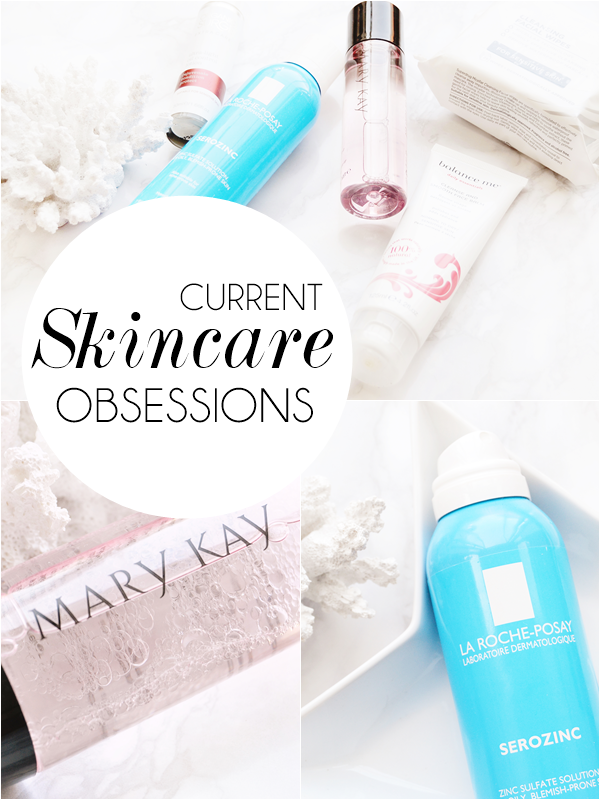 I think I'm just skincare obsessed at the moment but these truly are some amazing products worth checking out! 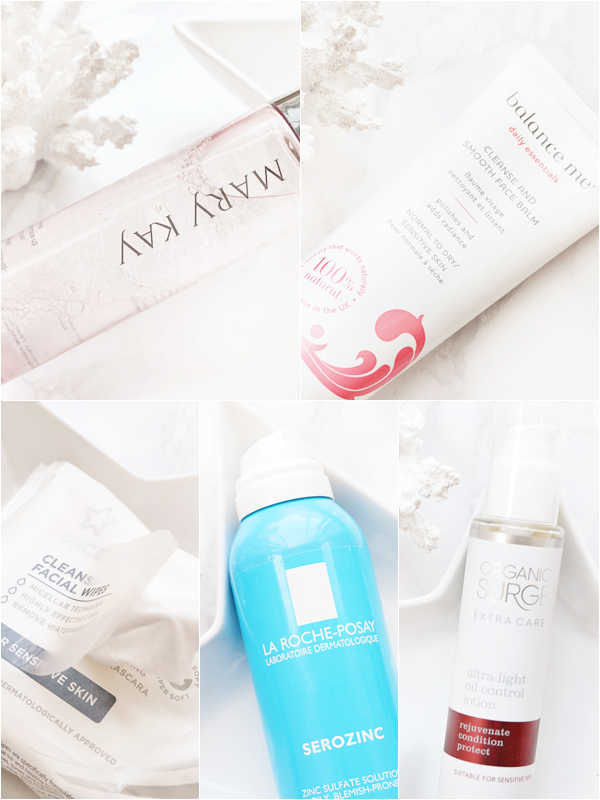 Possible spring skincare routine to come soon!